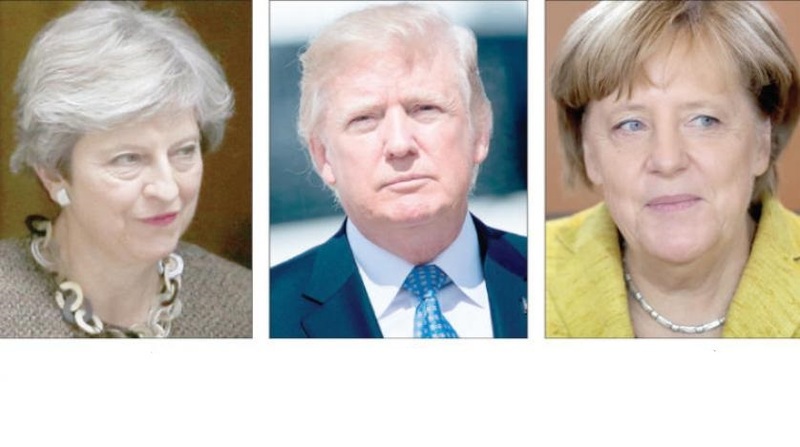 Washington, London, Berlin – Saudi Arabia’s decision to allow women to drive was widely supported around the world, as international leaders have officially welcomed the King’s order. US President Donald Trump commended the royal order to apply the traffic system and its executive regulations – including issuance of driving licenses – for both males and females alike, the White House said in a statement on Tuesday. “This is a positive step toward promoting the rights and opportunities of women in the Kingdom of Saudi Arabia and we will continue to support the Kingdom in its efforts to strengthen the Saudi society and economy through reforms like this and the implementation of the Saudi Vision 2030,” Trump said, according to the statement. The US Department of State has also welcomed the Saudi royal order. In the daily press briefing, State Department Spokesperson Heather Nauert stressed that this decision was a great step and a very positive sign. “The empowerment of women around the world is not only an issue I care deeply about, it is also key to nations’ economic development,” she said. Spokesman Steffen Seibert said on Wednesday that Merkel has repeatedly brought up the situation of women during visits to Saudi Arabia. “It is a particularly important issue to her,” he stated.